Collins said he heard the cockroach ‘squealing’ before it died. On the topic of ‘odd,’ here’s the story of a man from Florida who ended up in the hospital last week because a cockroach borrowed itself in his right ear, refusing to come out. The man even claimed to hear the critter dying in his ear. Meet Black Collins, a 25-year-old Tallahassee resident with quite a story to share. Some time ago, Collins moved into a new apartment with his husband and dog. However, their new house left much to be desired. According to Collins, saying that his home has a bug problem would be an understatement. 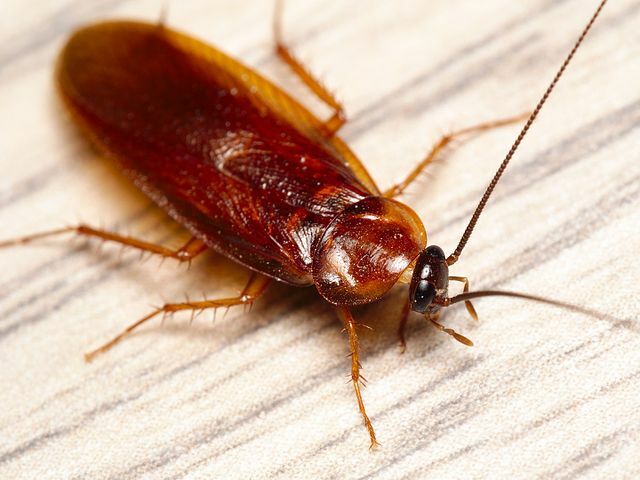 The Florida man revealed that there were so many cockroaches inside the apartment, that he could actually see them crawling out at night from a light socket and underneath the mattress. In a recent Facebook post, Collins complained about having to spend most of the night picking up dead roaches from the floor, while his husband was trying to get some sleep after his surgery. Things took a turn for the worst when a nasty critter decided to pay Collins a night visit. As the man recalls, he was in bed, fast asleep, when he felt something crawl up his ear. He described the experience as having a Q-tip shoved inside your ear. He immediately woke up, got dressed, and drove to the hospital. Collins said that a doctor poured lidocaine in his ear to kill the cockroach. He said that the whole thing was painless but very strange as he could hear the cockroach’s ordeal. Collins told a member of the press that he heard the cockroach dying. He said that the last thing he heard before the doctor went in to remove the critter was a muffled squeal and then silence.